Call For a Fast Quote Today! MedPro Disposal is fast becoming the premier provider for full service management, removal, transportation and disposal of regulated medical waste. Our commitment to customer service, safety and regulatory compliance leaves our clients protected and confident that their waste is being disposed of in the proper manner. At your convenience, a sales representative will be happy to provide a quote on your medical waste removal and disposal needs. We look forward to the opportunity to service all your medical waste removal, transportation and disposal needs and to provide you with outstanding service. Give us a call today – 888-641-6131. Each day healthcare facilities and businesses across the country — including hospitals, doctor’s offices, veterinary clinics, blood banks and medical labs — produce a significant amount of medical waste. This waste includes a wide range of biohazardous materials that pose serious risks to people and the environment, such as used needles, chemicals, blood, body parts, gloves, medical devices and saturated bandages, to name a few. Medical waste generated by healthcare facilities can also harm the environment without proper treatment and disposal. Inappropriate dumping of waste may pollute lakes, rivers or landfill sites, posing a serious risk to the environment and the people or animals in close contact with it. Partnering with a professional in medical waste disposal services is key to ensuring your healthcare facility manages the disposal of all waste properly. 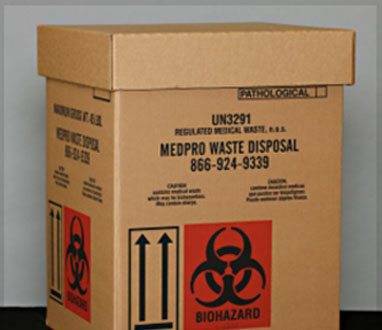 We offer a variety of removal, transportation and disposal options for your medical waste needs. In addition, MedPro Disposal safely and routinely manages consumer products that need to be discarded due to shelf-life expiration or damages. Depending on your disposal requirements, we may be able to provide disposal for non-hazardous items at a lower cost than incineration. MFI and MedPro will work together to help customers save on all their practice needs.NAPERVILLE, IL, USA, August 3, 2018 / MFI Medical Equipment, Inc.
Let's find out how much you can save!